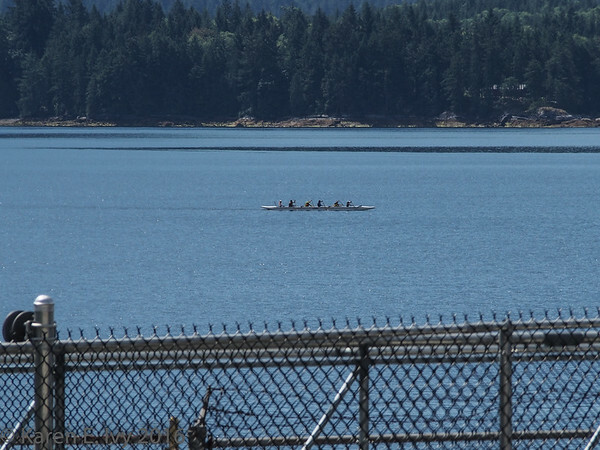 After a pleasant weekend visiting our friends in Powell River, we drove off toward Vancouver. Powell River being where it is, our first stop was the Saltery Bay – Earl’s Cove ferry terminal. On a Monday morning, it wasn’t very busy, but the view was nice. Having nothing else to do, I got the camera out and went looking for things to photograph. 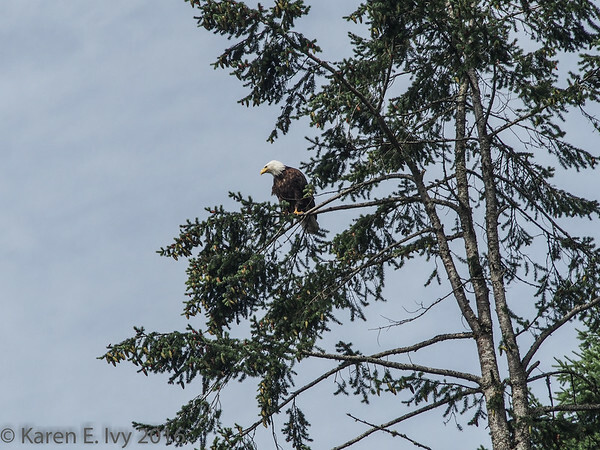 By gum, I found a bald eagle perching in a tree next to the terminal. 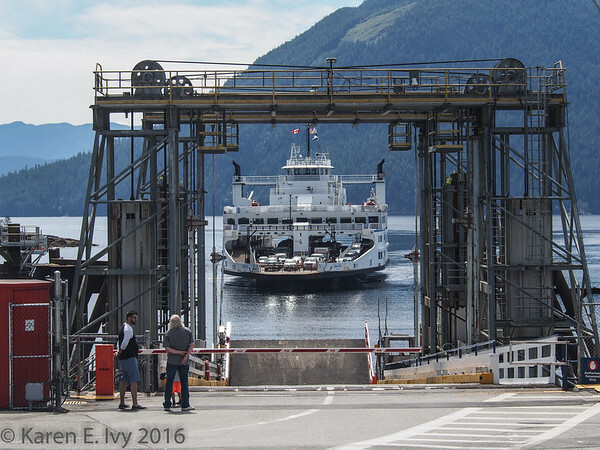 The Saltery Bay ferry takes you just over the inlet to Earl’s Cove, after which you drive the length of the Sunshine Coast to the Langdale-Horseshoe Bay Ferry, which you take to the mainland. Then you drive on into Vancouver. I regret to say there are no reasonable photo ops from the Sunshine Coast Highway; it’s just a highway, mostly surrounded by tall trees on both sides. Pretty; hardly photographic. The drive takes about an hour and 20 minutes (79.8 km or not quite 50 miles). 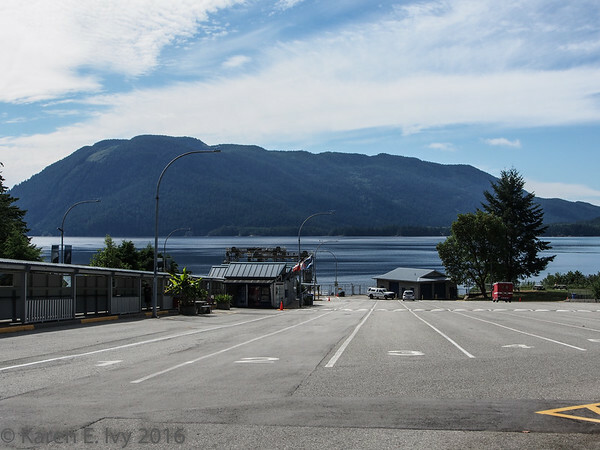 I took some photos from the ferry, of the area around the Langdale ferry terminal, and of the trip among the islands as we traveled down to Vancouver; if you’d like to see them, the whole gallery is called Ferry to Vancouver. This entry was posted in Photography, Vacations and tagged 2016 Vacation, British Columbia.